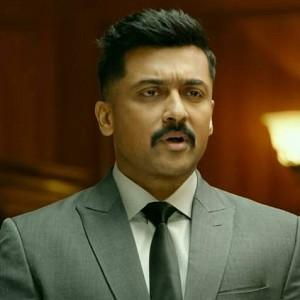 Kaappaan is an upcoming film that has Suriya, Mohan Lal, Arya, Samuthirakani, Boman Irani, Sayyeshaa in lead roles. The film is directed by KV Anand and produced by Subaskaran under the banner Lyca Productions. This is the 37th film of Suriya's career, and it has Harris Jayaraj as the music composer and MS Prabhu as the cinematographer. The makers have now released the teaser of the film, that features Suriya in multiple roles. While it was earlier revealed that he will be playing the role of a guard, these multiple roles have generated curiosity among the audience. In addition to the teaser, the team has also revealed the release date of the film. Kaappaan will hit the screens on 30th August 2019, which is a good move, considering the release of Ajith's Nerkonda Paarvai, that releases on 10th August. Suriya is currently awaiting the release of Selvaraghavan's NGK, that is seeing the light on May 31, and is also working on Soorarai Pottru, directed by Sudha Kongara of Irudhi Suttru fame. People looking for online information on Arya, Kaappaan, KV Anand, Mohanlal, Sayyeshaa, Suriya will find this news story useful.